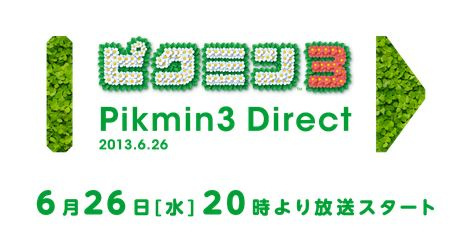 It's been exactly two weeks since the last Nintendo Direct broadcast for this years E3, and now the company has announced that a new presentation will take place tomorrow, the 26th June, focusing primarily on the upcoming Wii U release, Pikmin 3. The stream will take place on Nintendo's official website at 8pm JST / 12pm UK / 11am GMT / 7am PST. Satoru Iwata, President and CEO of Nintendo, will be in attendance as usual, along with Pikmin creator Shigeru Miyamoto and Japanese comedian Hitoshi Matsumoto. So far, the broadcast has only been confirmed for Japan, no word on a North American or European stream as of writing. The title is fast approaching its release on the Wii U, with Europe receiving the game on the 26th July, and in the US a little over a week later on the 4th August. Hmmm, will watch it but at this moment in time it's nothing important for me as I haven't played this series at all. So until then, I'm not feeling the hype. I mean, the game isn't having it's own ND just for some game play is it? We already know about the Pikpak and multiplayer and the date, don't see why they would have one of these without something new and newsworthy. I'll be on a ferry to Fire Island during this, wonder if it has wi-fi? I hope we get a western Nintendo Direct soon, covering some Zelda U and Yarn Yoshi. I'm really curious about those games. Can we get an English dubbed-over version to watch? @stefenjc I agree. I think they'll want to heavily advertise their actual launch dates (instead of just "Super Mario 3D World is coming in December) and they will want to reveal one or two more games. I really don't need to see any more of this game, otherwise it will get spoiled. This must be one of the most previewed games ever! The Wii U does have some good games already, but this is the first system seller in my opinion. 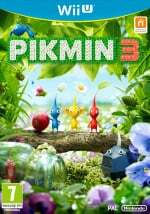 It's an incredible series, it seems to put the GamePad to good use as a controller (with scrolling map and touch to command features) or as a handy map while using the Wii Remote, and it's exclusive to the Wii U. My body is ready! Why must you tease me further Nintendo? This wait is agonizing. The first great Wii U game is nigh!